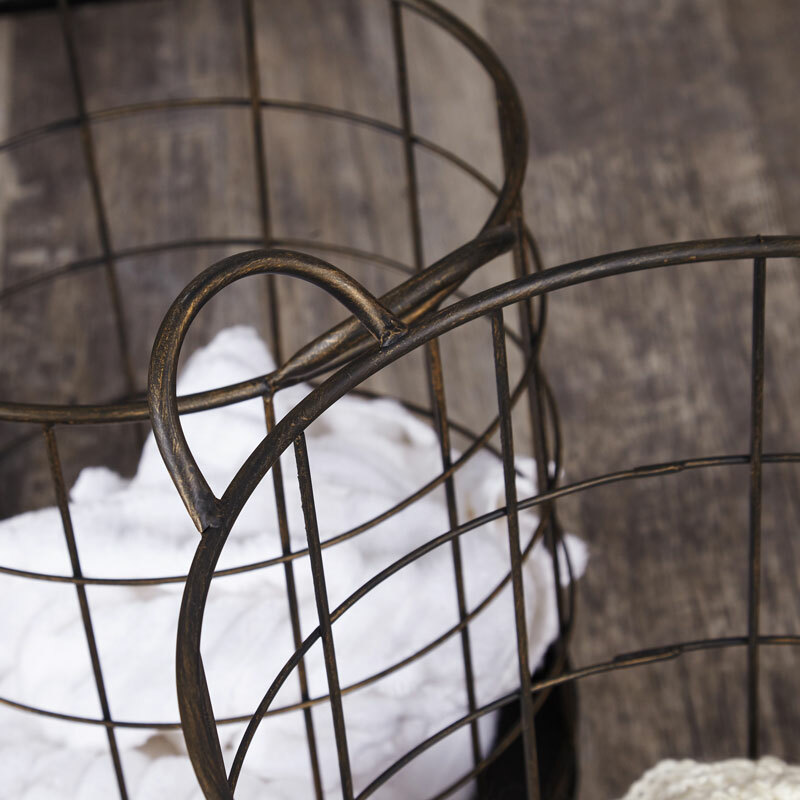 This industrial style basket is a handy home help. Constructed from iron in a black finish, this offers a handy storage solution and will fit in easily with most modern and contemporary interiors. The sturdy design means that this basket can be used for so many purposes. 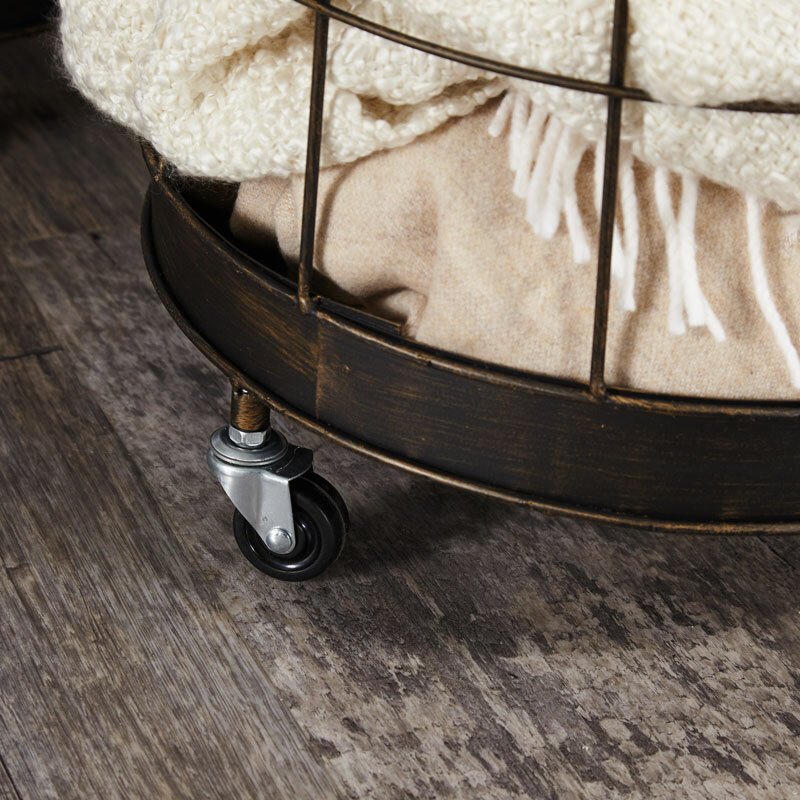 The basket comes with a wire metal frame that sits upon a metal base with 3 wheels. Use for keeping your laundry organised, toys safely packed away or for holding wood logs for the fire. This industrial style basket is a handy home help. 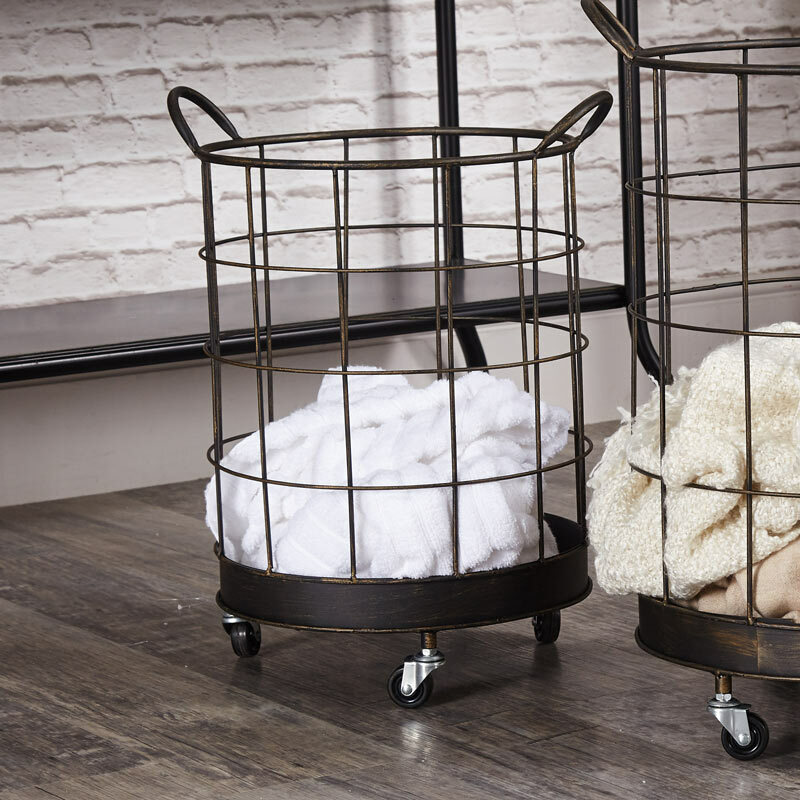 Constructed from iron in a black finish, this offers a handy storage solution and will fit in easily with most modern and contemporary interiors. The sturdy design means that this basket can be used for so many purposes. The basket comes with a wire metal frame that sits upon a metal base with 3 wheels. Use for keeping your laundry organised, toys safely packed away or for holding wood logs for the fire. Constructed with wire metal frame and metal base in black distressed finish. Three castor wheels for easy movability. You can never have enough storage, which makes this basket so perfect and just what you need.